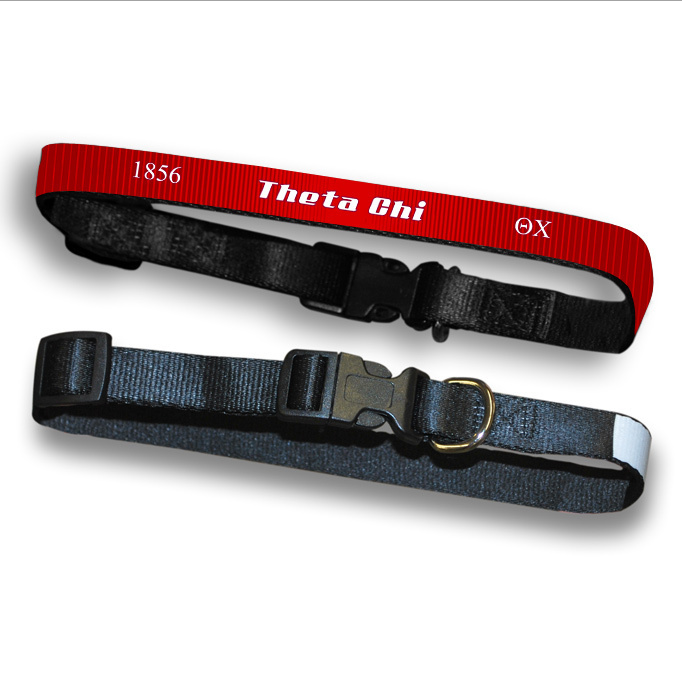 Theta Chi Dog Collars are adjustable in several sizes. Dog Collars are adjustable in several sizes. Come pritned in your groups colors with Established year.